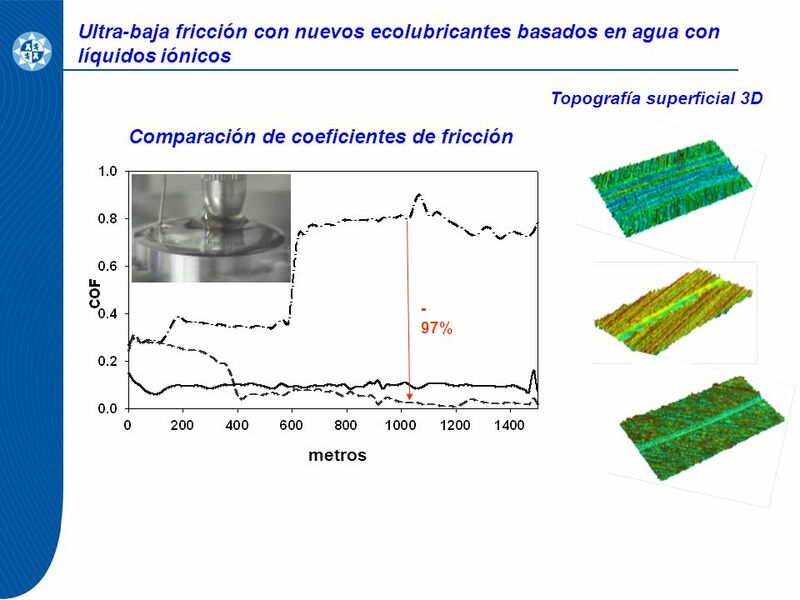 Ultra-baja fricción con nuevos ecolubricantes basados en agua con líquidos iónicos Topografía superficial 3D Comparación de coeficientes de fricción -97% metros A comparative summary of friction records and values can be observed in the figure. 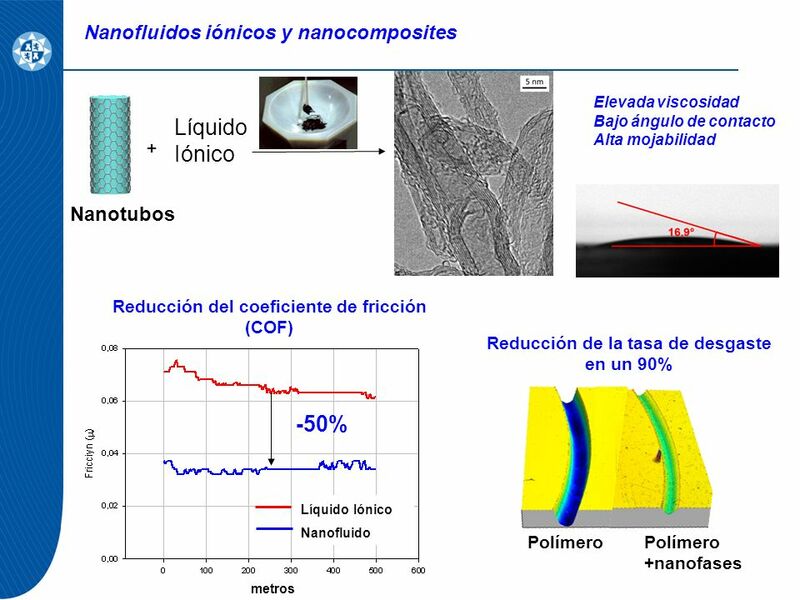 It is remarkable that, although the lowest friction value during the whole test is reached for the neat PIL lubricant, with reductions of 75% and 88% with respect to water, when the PIL is used as additive, once the boundary thin film has formed, an ultralow friction value 97% lower than that of water is reached and maintained. 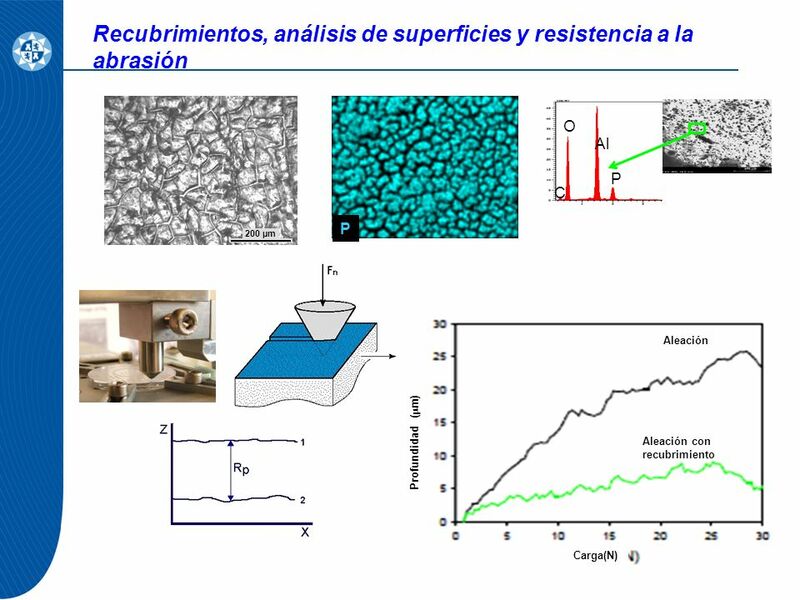 Al+LEP102 Profundidad (m) Carga(N) Aleación Aleación con recubrimiento The abrasion resistance of the surface layers generated on magnesium were tested using the scratch test, where a diamond indenter survays the surface to generate the base line, applies a constant or progressively increasing load along a certain distance determining the instantaneous penetration depth and, in the case of polymers, determines the final penetration after the viscoelastic recovery of the material has taken place. In this case, we have determined the instantaneous penetration depth under progressively increasing load. 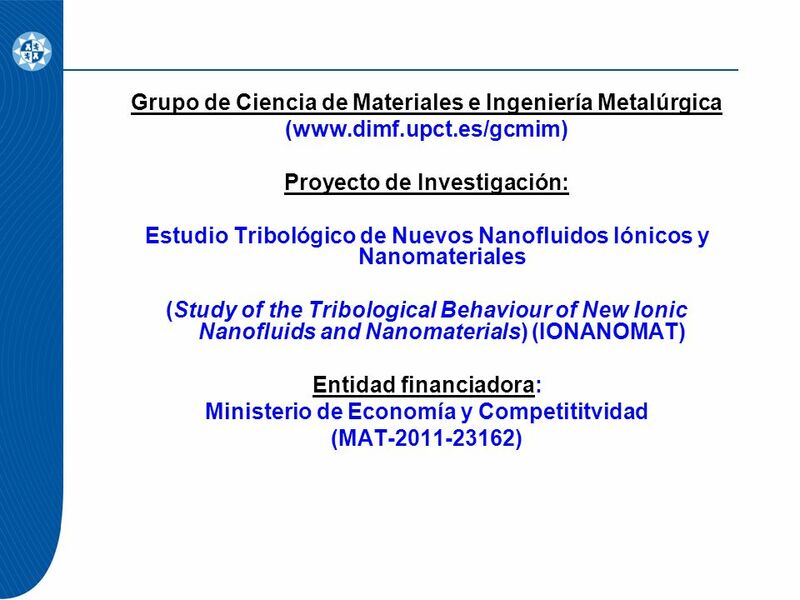 Descargar ppt "Grupo de Ciencia de Materiales e Ingeniería Metalúrgica"
EJEMPLO ESTUDIO DE LA PILA DANIEL.